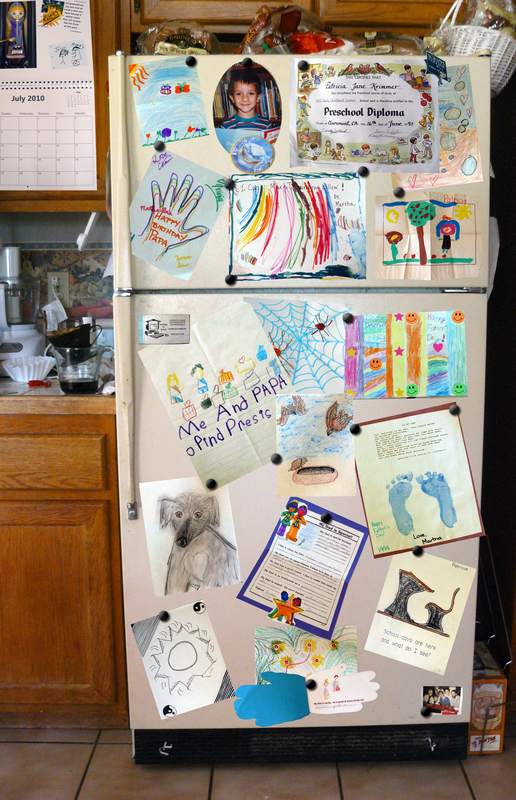 A son who had spent a lot of time working on a drawing to give to his mother was dismayed that she had failed to display it on the refrigerator. Sometimes we don’t appreciate all the gifts that people give us. But let us never fail to appreciate the gifts that God gives us—especially the greatest gift of all—His Son Jesus! “Thanks be to God for his indescribable gift!”—2 Corinthians 9:15. This entry was posted in Christian Living, Communion Meditations, Humor and tagged 2 Corinthians 9:15, gifts, illustration, Jesus, refrigerator art, salvation, Thanks be to God. Bookmark the permalink.